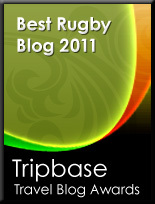 TOTAL FLANKER...a rugby blog: Will they never learn? Think December 2003 - the England rugby team's open-top bus ride through London to celebrate winning the 2003 RWC in Australia. Full of its own self-importance, awash with MBEs, entertained at Buckingham Palace and fêted at Downing Street, the England rugby team has never fully recovered. Think September 2005 - the England cricket team's team open-top bus ride through London to celebrate winning the 2005 Ashes series (at home, no less). Full of its own self-importance, awash with MBEs and fêted at Downing Street the England cricket team has never fully recovered. Think May 2005 - the Welsh Rugby team were joined by 20,000 fans, the Prince of Wales and the Duchess of Cornwall in the Millennium Stadium to celebrate winning the 2005 Six Nations Grand Slam. Full of its self -importance, the Welsh rugby team then endured 2 highly mediocre Six Nations campaigns in 2006 and 2007 before being dumped out of the 2007 Rugby World Cup by Fiji, failing even to make the quarter finals. Think 26th May 2008 - and the Welsh Rugby Union's announcement that a free music party is being thrown at the Millennium Stadium for fans to celebrate the 2008 Grand Slam. The party will include The "As long as we beat the English" Stereophonics, X-Factor failure Rhydian Roberts, Shaun Edwards' ex-girlfriend Heather Small and rent-a-Welsh-voice Katherine Jenkins. Expect, at the very least, a sobering hammering at the hands of South Africa to follow next month. Think Ireland, wondering whether it might have been a good idea to celebrate their 2006 and 2007 Triple Crowns after all. And think Scotland, wondering whether they'll ever have anything to celebrate again. Somewhat harsh I feel. As a fan it is certainly nice to have the chance to celebrate success, happens rarely enough here in Wales! I see your point, us Brits hate a bit of self congratulation and enjoy seeing those that do it dumped on their asses, which you showed so well. But sod it, I like a party, I like rugby and I like Wales... seems a nice combination! Hammering at the hands of South Africa? Possible, some important players missing... but I can'y imagine any team that has shaun edwards organising defence taking a proper tuning. Point taken although, to be fair, I'm not being very serious! Totally accept the slapped wrist for the Katherine Jenkins comment though. As for Shaun Edwards - the halo has to slip one day - perhaps once the opposition twig that Wales commit zero players to the breakdown and leave the opposition to ruck against themselves? I've added links to your blogs in my blogroll btw. Ooops, that comment wasn't meant to be as serious as it sounded! I'm hoping they won't notice our rucking tactics, but somehow wasps always get away with it so I am still hoping it works. cheers for the blog add, wasn't fishing for that I promise!